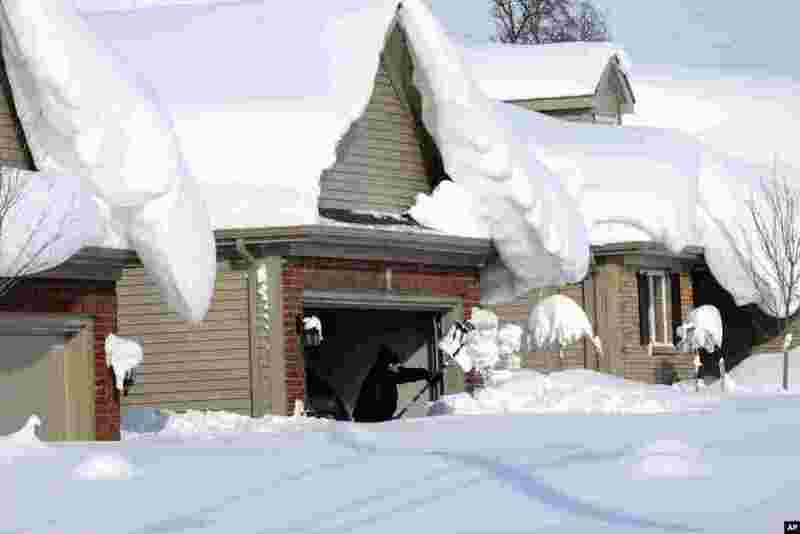 1 Snowdrifts create a beautiful setting as a man tries to dig out his driveway on Bowen Rd in Lancaster, N.Y. A lake-effect snow storm dumped over five feet of snow in areas across Western New York. Another two to three feet of snow is expected in the area, bringing snow totals to over 100 inches, almost a years' worth of snow in three days. 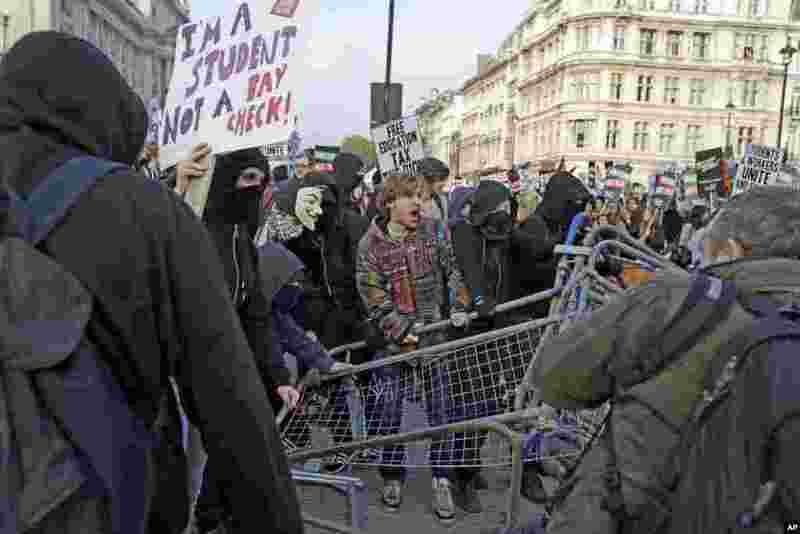 2 Students dismantle security barriers placed by British police on Parliament Square during a protest against university tuition fees in London. 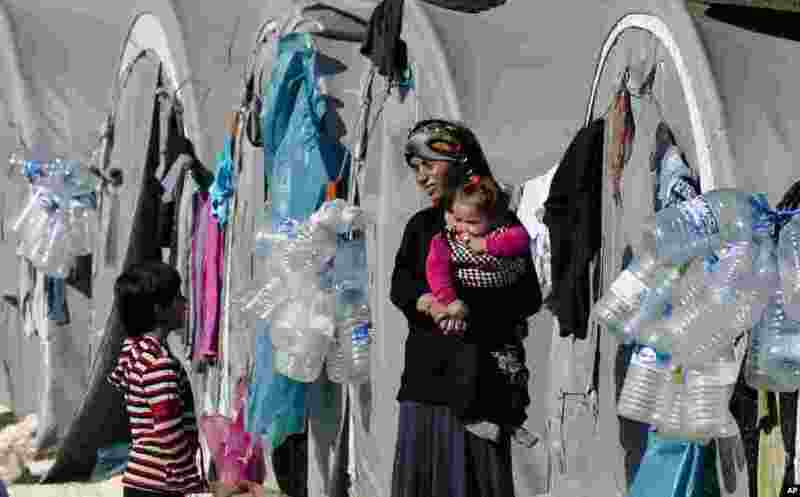 3 A Syrian Kurdish refugee woman from the Kobani area holds a baby at a camp in Suruc, on the Turkey-Syria border. Kobani, also known as Ayn Arab, and its surrounding areas, has been under assault by extremists of the Islamic State group since mid-September and is being defended by Kurdish fighters. 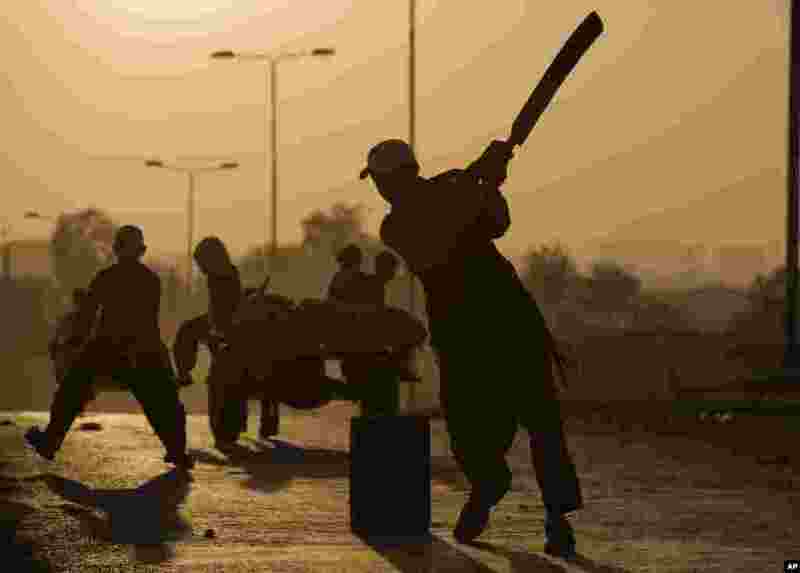 4 Pakistani children, who were displaced with their families from Pakistan's tribal areas due to fighting between the Taliban and the army, play cricket in a poor neighborhood on the outskirts of Islamabad, Pakistan.